Town of Grafton resident James “Jim” Poklasny made the most of his time after learning of his terminal cancer diagnosis last February. He died at age 60 on February 21, 2008 at Ruth Hospice in Milwaukee. He was born in Milwaukee to former Port resident Otto Poklasny and Agnes Mich Poklasny on September 16, 1947. After completing high school in Milwaukee, Jim started work at Ampco Metal. Drafted into the army, Jim spent several months at Fort Bliss in Texas before volunteering for Vietnam. Upon return from service, he continued his employment at Ampco as lead operator and naval qualified inspector until the plant shutdown in 2003. During his years at Ampco, Jim was a proud member of he United Auto Workers and also served briefly as a union steward. Jim had been welding at home over the years, but pefected his technique in a retraining program which included a technical diploma in welding from MATC in 2005. 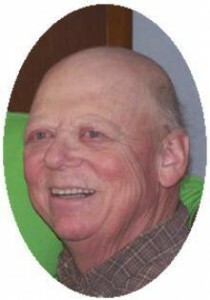 Jim worked for several months for Helgesen Industries in Hartford before his illness. Jim met his wife, the former Jean Woodmansee, in Milwaukee and they married on June 24, 1978 in both church and civil ceremonies. The newlyweds lived on a small farm in Oostburg. There, Jim began his habit of collecting tractors and farm machinery and the couple enjoyed raising many farm animals, especially their first collie, “a boy named lassie”. The couple had no children. An opportunity to buy land closer to family and jobs brought the couple to the Town of Grafton in 1986. There, Jim expanded his machinery collection and indulged his mechanical ingenuity. An example of this talent was his use of electrical transmission tower parts to build a portable pier for the neighbor’s cabin on a northern Wisconsin lake. Jim kept many garden tractors, some for traditional uses and some for competition “pulling”. He was a member of the Wisconsin Garden Tractor Pulling Club and enjoyed meeting other members at fairgrounds around the area. In recent months he was still able to enjoy taking his ATV on the trails up north with his best friend, and brother-in-law, Larry Quinn. Besides his wife Jean, he leaves behind his sisters Joan (Tom) Lancour and Mary (Larry) Quinn, and many other relatives, friends and neighbors. Family dogs Jake and Cody will especially miss that fellow who played ball with them and gave them special treats. A Mass of Christian Burial will be celebrated 7 pm Tuesday, February 26, 2008 at St. Mary’s Church in Port Washington. Visitation from 3 – 6:15 pm Tuesday at the funeral home. Memorials to Minnesota Wisconsin Collie Rescue are appreciated.